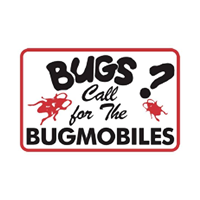 Bugmobiles is the most trusted pest and termite control company in Victoria, TX. Our treatment plans are custom tailored to your individual needs. To give our clients the quality of life they deserve, we sit down with them to fully understand their needs and provide solutions they can trust and afford. Why choose us? Because we believe that pest control is more than just killing and keeping the bugs away. It"s a clean and disease-free home. It"s high-quality food production. It"s a way of life that benefits every person and future generations to come. We serve families and institutions across Texas. We continue to go above and beyond what other companies do by keeping our clients pest-free while preserving a healthy living environment for all. Frank always calls for an appointment and is always on time. He does his work swiftly and well. He is always very friendly and helpful. The one time that we had a pest problem between quarterly service, he came right away and took care of it. What else can I say, he is the best we have ever had for pest control. Courteous. Thorough. We feel comfortable letting the techs come and go without us being home. Have always got great service. Friendly & helpful employees. I have used Bug-mobile for my exterminator service for several years and I am so pleased with them - they are friendly and courteous and always a pleasure to work with. I highly recommend them. Always friendly and very quick! Bugmobile -Adrian.. fantastic works with my schedule and gives advance notice when he's in my area. Love, love the service and the guys working. Exceptional service along with honest, personable, trust worthy. Would not consider using anyone else. Thanks for the positive review! We try our best and are pleased it shows. Thank you for being a valued customer! Kenneth is a real asset to your company. He is reliable, courteous, professional and does a great job. Thank you. Thank you, Dr. Cano, for your review. We will let Kenneth know that his stellar work ethic has not gone unnoticed. We appreciate you! Adrian is the best! Beyond helpful and always courteous and friendly. He listens to my pest concerns and goes out of his way to help us. Thank you for the kind words, Mr. Varner. It's always good to hear when our technicians are doing a good job. Thanks, Mr. Urban. We aim to please. Guy and his team are always great! Thanks, Mr. Ellis. We are pleased Guy and his team are doing a good job for you. We appreciate your business. Thank you for the positive review. We appreciate having you as a customer! James Brock is the best, friendly and dedicated to his work. Thank you, Mrs. Reichert. James has been a valued employee for many years. We're happy you're pleased with his service. I have been a customer for a few years now and they’ve always done an amazing good job....considering how my house has been this past year ...they went that extra mile to make sure I also had a good job done... they guaranteed me their work...I like the way they make you feel like your not just another house on their list, but more as a family or close friend would...whichever one is nicer to you...overall GREAT JOB and great company and awesome employees. Thanks, Amy! We're a family owned and operated business. Our goal is to provide the best service possible. We're always happy to help! I’ve had quarterly pest control service from Bugmobile for over 20 years, and I’ve never had a negative issue with them. They are consistently on time, quick to complete the job, and though it is extremely rare for me to need anything in between my regular schedule, they are on top of that as well when necessary. I highly recommend them! Thank you for being a long-time, loyal customer, Mrs. Green! We appreciate you and are happy to provide the best service possible. Craig, who comes into our home, is so very courteous, friendly and knowledgeable! Glad we have this professional for the service! Thank you for the positive review, Mrs. Hiltpold. Craig has been a valued Bugmobiles employee for more than 25 years. The service we have does us a great job thanks frank. Thank you for the positive review. We'll pass along your kind words to Frank. Awesome service and Bess Williams is the best! Thank you, Mr. Hierholzer. It's good to know Bess is doing a good job. We appreciate your business. Ricardo has been our “Bug Man” for years now, and he is just the very best! He’s always so courteous and professional. He has even worked out a system to accommodate my crazy dog! We love Bugmobiles! Thank you, Dana! It's our goal to provide the best service for our valued customers. We're happy to share your positive review with Ricardo. Thanks for your continued business. Thank you, Robert. We're glad to hear you're pleased with our service. The service is excellent. It’s not often that we see many live bugs between quarterly treatments. Ricardo is a first-class ambassador to your business, a great person and credit to Bugmobiles! Thanks for the review. We will pass along your positive feedback to Ricardo. We appreciate you taking the time to let us know how we're doing. This is the absolute BEST pest control company. I live in Lockhart & they drive all this way every 3 months to treat my house. They are flexible with scheduling treatments, arrive on time & are extremely pleasant to deal with. I initially contacted them regarding termites & since then have continued with other regular pest control. They have eradicated 99% of the scorpion infestation I had. They also have online automatic payments so I don't have to worry about that. I wouldn't want to use anyone else! Thank you, Anna, for your review. We strive to provide the best service and are happy to know that you're a satisfied customer. We appreciate your continued business. Please let us know if you ever have any issues and we'll be there to help. Guy is the best, all around. Super nice and great personality. Takes great pride in servicing his customers. Thanks for the positive feedback. We are pleased to hear the kind words about Guy. We'll let him know you gave him a good review. He's a valued employee and you're valued customers!